New US National Security Adviser John Bolton might draw on past experience when negotiating with Kim Jong-un. Yet there is scant detail as to how the US will approach the upcoming summit with North Korea. 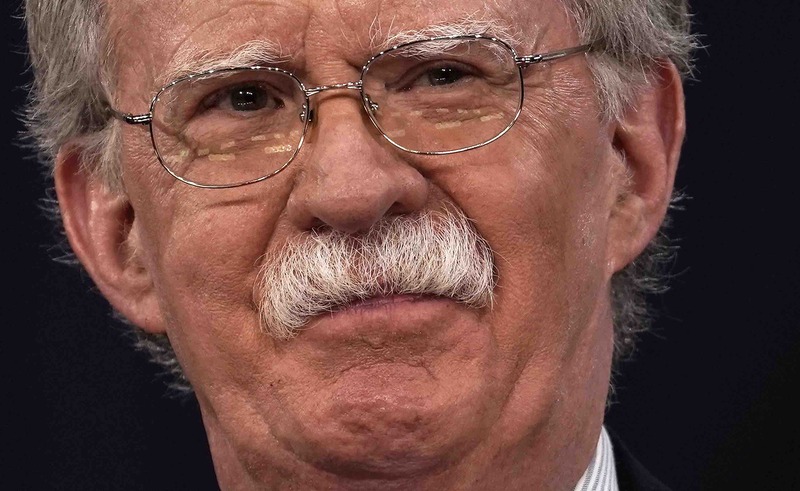 Trump’s new National Security Adviser, John Bolton, perhaps has been the most explicit, stating that if there is a model for how to peacefully rid a hostile dictatorship of its nuclear program, it is found in the past experience with Libya. … what ports should American freighters sail into and what air bases should American cargo planes land at so that we can dismantle your nuclear weapons program, put it in those planes and boats and sail it back to America to put it at Oak Ridge, Tennessee. In 2003, as Under Secretary of State for Arms Control and International Security, Bolton was part of the Bush administration that successfully negotiated a denuclearisation deal with Libya. Under that deal, documents and equipment related to Libya’s nuclear and ballistic program, as well as chemical weapons ingredients, were shipped to Oak Ridge, Tennessee. Subsequently, sanctions were gradually lifted and relations with Libya ultimately normalised. We have very much in mind the Libya model from 2003, 2004. There are obviously differences. The Libyan program was much smaller, but that was basically the agreement that we made. The fate of Muammar Gaddafi – overthrown in an uprising and killed nearly seven months into a NATO-led military operation – as well as the recent tearing up of the Iran deal by the US may do little to assure the North Koreans. At the same time, Kim Jong-un’s negotiating hand is much stronger than Gaddafi’s because of North Korea’s existing nuclear inventory, which is far ahead of what Libya possessed in 2003. The issue, however, is not how North Korea compares to Libya (or Iran for that matter), but what lessons the Libya experience provides for the current US administration. In December 2003, Gaddafi announced a strategic decision to irreversibly denuclearise. Bolton has said he is looking for an unreserved commitment from North Korea to abandon its nuclear weapons, instead of hedging. But to extract such a commitment from Pyongyang, the US would need to be willing to spell out what North Korea would get in return. At the least, Bolton should be thinking of nuclear disarmament as an overture to sanctions relief, as was the case in Libya. The North Koreans may well want more in a grand bargain (read: withdrawal of all US forces, and a nuclear guarantee), and the question is how far the US is willing to go (read: not very far). Libya’s complete “stockpile” was verified by inspectors and taken out of the country on relatively short notice, but this seems unlikely in the case of North Korea. In reality, denuclearisation, whether complete or incomplete, would have to be phased and access-negotiated. It would likely start with a moratorium on nuclear tests, followed by a freeze on the production of nuclear materials and, ultimately, the rollback of warhead stocks. The incentive structure, however, would be similar to the Libya case, where different milestones in the disarmament process were met with incremental recognition by the Bush administration to reward Libya’s progress. As a whole, the implementation of an agreement struck by the US and North Korea next month will be even harder than concluding one. If Trump thinks that he’s going to come back from the summit with Kim Jong-un’s nuclear weapons in the cargo hold of Air Force One, he’s delusional. If he goes in prepared to have this be a breakthrough meeting that yields important concessions from Kim and is the start of a multi-year process toward denuclearisation, then he might be able to pull off a stunningly successful summit. Which countries host the most refugees, who is considered a ‘genuine refugee’ under Australian law, and more.